I used to think writing was simply about sharing one’s thoughts. I suspect that was when I was in love with the idea of writing, not the actual practice. A few years ago I started the discipline of writing short, organized reflections a few times a week, regardless of inspiration or motivation. Though I wasn’t necessarily conscious of it at the time, I think this was when I began to use writing in the way Didion does: to find out what I’m thinking, what I’m looking at, what I see and what it means. 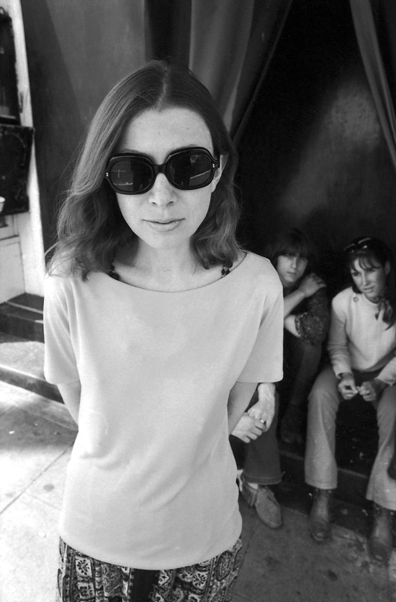 Of course, the difference between Didion and me is that her “finding out” just happens to be an extremely intelligent and audience-worthy process (I do not mean to be self-deprecating; I have made my peace with the fact that I will never be a Joan Didion). Here in lies my conflict with the idea of blogging. I am afraid that “posting” something might infringe on my own process of “finding out.” It is not a problem inherent in the blog itself, but stems from my own self-consciousness. If I look at a blog post as a declaration (“this is what I have to say today, world” … or, more realistically, “this is what I have to say today, mom and 2 friends”), it becomes intimidating and silly. But can a blog post be closer to “this is me finding out what I’m thinking, what I’m looking at, what I see and what it means”? It must be, for me at least. Partly because I am a sheltered 20-year-old with little-to-no sense of authority in talking about life, but also because that is what most writing is on some level, whether we admit it or not. At least at this point, my writing is infinitely more valuable to me than it will be to anyone else, and that is okay. Still wrestling with this one.